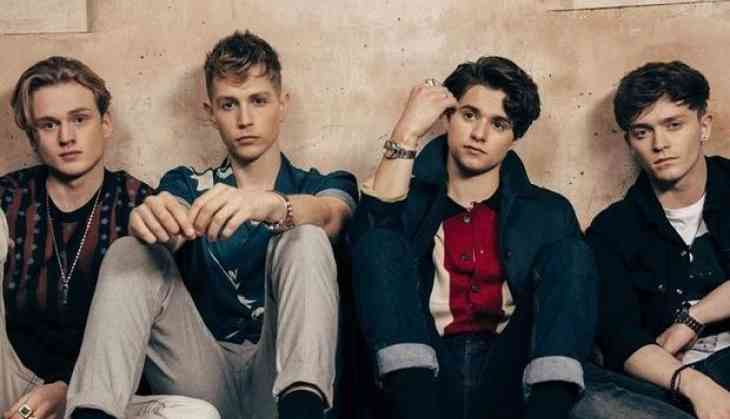 Britain-based boy band The Vamps is set to return to India after a gap of two years for a week-long stay. The four-member band is looking forward to showcase their new music at two shows. The band, which performed at 2016's Global Citizen Festival, will arrive here on October 23. They will perform in Pune and Mumbai on October 25 and October 27 respectively. Sharing their excitement, members of the band said in a statement: "We're really looking forward to performing in India. Our last visit was unforgettable and we had a great time. We cannot wait to be back to play two amazing shows and showcase new music to our incredible fans." James McVey (lead guitarist and vocalist), Brad Simpson (lead vocals and guitar), Connor Ball (bass guitar and vocals) and Tristan Evans (drums and vocals) form the quartet. On getting The Vamps to India on their new visit, Tanaaz Bhatia, Founder and Managing Director, Bottomline Media, said: "The response that we received for The Vamps' last visit made us more confident to bring them back to India. The fans here have always welcomed the band with all their hearts and we expect the same this time." To Indian fans they are known for "Beliya", their collaboration with composers Vishal-Shekhar. The band also collaborated with Ajay Devgn for "Shivaay". The Vamps have recently released their highly anticipated new album "Night & Day (Day Edition)" via Virgin EMI UK, as well as their latest single "Just My Type" taken from "Night & Day (Day Edition)".